Fathers and father figures! 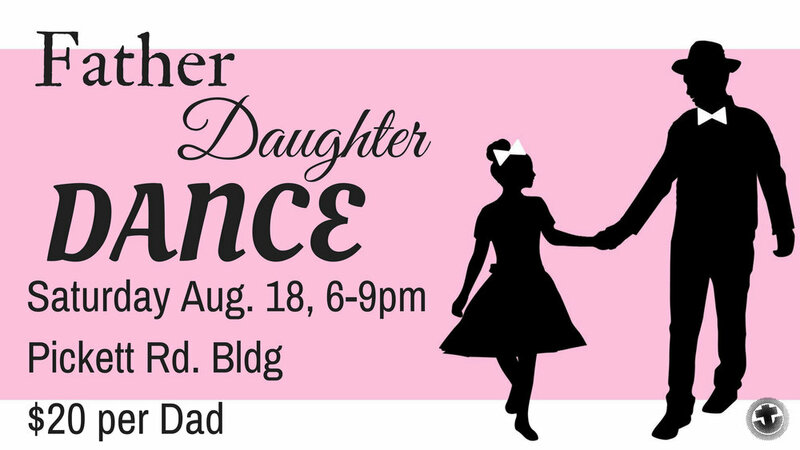 Come enjoy a special night with your daughters at this year's Father-Daughter Dance. DJ and light refreshments provided. The dance will be held at the Pickett Rd. bldg from 6-9pm on Saturday Aug 18. Cost is only $20 per dad regardless of the number of daughters you bring!